Taos Ski Valley, NM – This 2016-17 winter season, New Mexico’s Taos Ski Valley will open the much-anticipated centerpiece of its base area renovation, The Blake at Taos Ski Valley, a new 80-room lodging property. Additionally, Taos Ski Valley has a variety of other new enhancements this year under the direction of the resort’s new CEO David Norden. 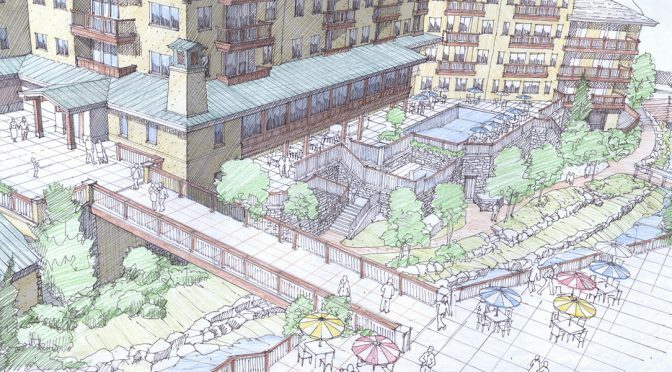 Currently under construction, with a planned opening this winter, The Blake at Taos Ski Valley will be centrally located among the retail shops and dining establishments of Taos’ base area, with ski-in/ski-out access to Lift 1. In addition to the planned opening of The Blake this winter, some key improvements visitors will notice include expanded glading in the hike-to Wild West area, as well as on the North American run and Ernie’s Run. Guests will be able to take epic powder photos and send them to jealous friends back home, thanks to significantly improved mobile phone coverage in the valley and on-mountain. More snowmaking has been added to enhance early season conditions, and a variety of new ski school options at the famed Ernie Blake Snowsports School will include telemark, steeps & bumps, women-only, and racing specialty clinics. Taos Ski Valley’s concerted base area renovations and on-mountain improvements began over two years ago with the launch of the Kachina Peak Chair Lift, and continued last season with a new drop-off area that features views of the Sangre de Cristo mountains and a walkway with stores and services that line the path to the base area and lifts. 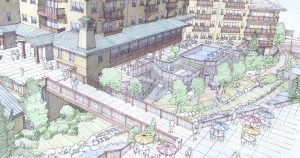 The base area renovation will continue for the next several years, and include a variety of new retail areas, dining choices and a plaza. It’s all part of a master plan approved in 2012. Norden began his career in the ski industry working for the SE Group. He worked as the vice president of Spruce Peak Realty of the AIG Global Real Estate Investment Corp, where he was instrumental in launching the renaissance of the historic Stowe Mountain Resort in Vermont and securing the first-ever Audubon International Certified Sustainable Community designation. 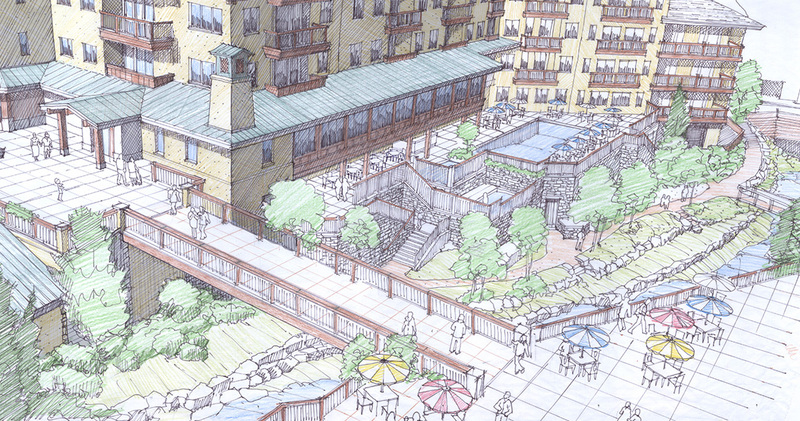 Norden also served as Project Manager for the Hines Resorts development of Aspen Highlands Village, Colorado. For the last nine years Norden worked as the founder and president of Owls Head Partners, an international resort development management company. He provided planning and development services for numerous resort communities, including projects at Taos Ski Valley, and others around the world including Bretton Woods, N.H.; Grand Targhee, Wyo. ; Mount Snow, Vt.; Terra Viva, Colombia; and La Estancia de Cafayate in Argentina. Taos’ former CEO Gordon Briner has transitioned to Chief Operating Officer and now oversees the ski valley’s core revenue departments including ticketing, the snow sports school, food and beverage, retail and rentals. He will also play a role in planning expanded summer programming that will develop over the next few years. Taos Ski Valley continues to participate in the Mountain Collective, and season pass holders also get reciprocal privileges of 50 percent off one-day ticket prices at all Mountain Collective resorts as well as three days each at Copper Mountain and Arapahoe Basin. In addition, the Taos Card gives guests $19 off the single-day ticket rate during regular season, plus every seventh day is free, and lets skiers and riders go straight to the lift by charging their credit card automatically.